Why we have no idea how good we are at anything. Part of the reason that it’s a challenge to get the right blend of confidence and humility is that…well, we don’t know ourselves very well. Try to think back to a time when you felt incredibly confident. You instinctively knew you could handle whatever came at you. You were on top of things, making all the right moves. You were in the zone. It’s an amazing feeling, and one that we’d probably all like to have more often. We’re attracted to confidence—the true, deeply felt kind that inspires us to follow great leaders to the ends of the earth. But go one shade darker and we find arrogance. What’s the line between the two? It seems to be humility. True confidence can stand up to a lot, and the biggest thing it can do is stand back and make room for others’ thoughts and ideas. Read on to discover how the two elements of confidence and humility intertwine in every interaction we have, and learn how to develop the perfect blend of both. Both confidence and humility have giant roles in making you a respected person—and an effective leader. Looking at this simple diagram, I have an immediate idea about where I tend to fall on the spectrum (toward the self-deprecation side). How about you? 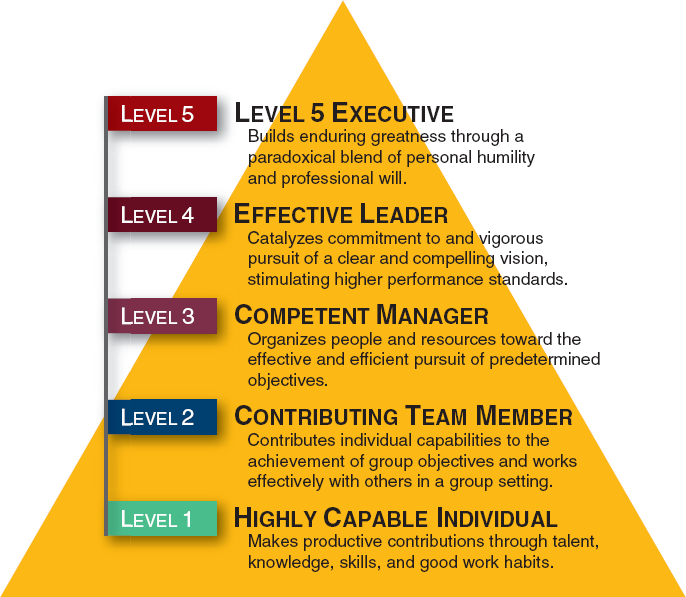 The paradoxical duality of these two traits is so rare that they’re at the very pinnacle of Good to Great author Jim Collins’ leadership pyramid: Level 5. So how do we get this elusive combo for ourselves? The science of confidence: Why we have no idea how good we are at anythingPart of the reason that it’s a challenge to get the right blend of confidence and humility is that…well, we don’t know ourselves very well. Consider this evidence: Though it’s statistically pretty impossible, 93% of usthink we are better than average drivers. And 94% of university professors rate their teaching skills as better than average. The average person thinks she or he is…well, better than average. So do we have a confidence problem or a humility problem? It’s a bit of both. Turns out, the most incompetent of us are also the most likely to overestimate ourselves, while the MVPs among us tend to underrate ourselves. In other words, the gulf between how good we are at something and how good we think we are at something is often huge! And in my mind, it pretty much sums up how weird our brains are when it comes to confidence, humility and self-evaluation. 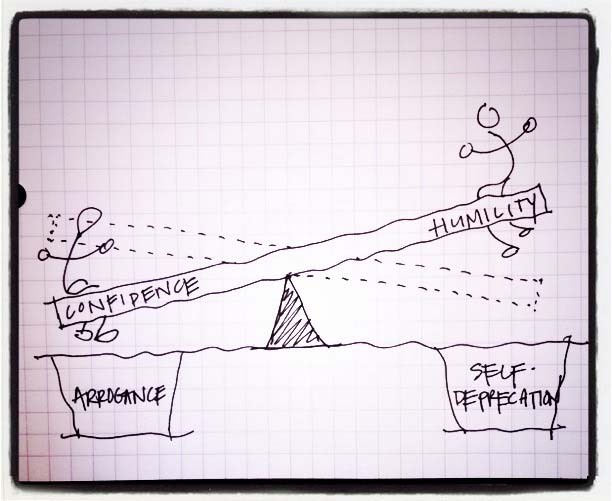 Confidence or humility: Where do you fall? So perhaps the first thing to know about building this perfect ratio is where you are now—do you skew more toward arrogance (too much or misplaced confidence) or self-deprecation (too little confidence)? Here are some things to consider. Consider your gender: Overall, women tend to err toward humility and men tend to err toward overconfidence. In studies, Columbia Business School found that men, on average, rate their performance to be 30 percent better than it is. Consider your part of the world: Psychologist David Dunning says that where you fall on the spectrum varies by your part of the world and its culture. Eastern cultures are more likely to value self-improvement, while Western culture venerates self-esteem. You have a long list of all the things over the years you wish you had said or done or tried— but didn’t. You hesitate at key moments. You imagine that whatever you have done— whether it’s a triumph or a failure— is the focus of everyone else’s attention. Some signs you might be a bit overconfident:In researching this post, I came across a great and succinct list from Martin Babinec of behaviors it might be helpful to look out for if you feel you might be veering into arrogance. Some of these list points may be tough to read, particularly if you see yourself reflected (I know I did). Everyone knows the old trick of the job interview: If the interviewer asks you what your faults are, duck out of the question by saying that your biggest fault is that you’re a perfectionist. Now you look great! Perfection isn’t attainable, and it keeps us from taking action. Instead, focus on progress and improvement by developing a growth mindset. Expressing confident body language can help us get better jobs, project our thoughts more often and more assertively and generally make us feel more successful. Social psychologist Amy Cuddy recommends quite a few power poses that have been proven to increase confidence: here are some (see all of them here). It’s great to recognize and share stories of mistakes and failures—failure is the biggest way that we grow. But those of us with lower confidence can dwell on past missteps long after we’ve learned everything we can from them. Rewire your brain to break the negative feedback loop: Replace the failure thought with 3 achievements and successes (even small ones are great!) Or write them down in order to recognize them, then find an alternate viewpoint. Sometimes you have to take some inspiration from heroes of fiction—like the formidable Cookie on Empire. Jazmine Hughes, an associate editor at the New York Times magazine, took this tactic when she felt impostor syndrome creeping in. For a week, she donned the kind of over-the-top ensembles favored by the FOX show protagonist, and discovered a secret well of strength within herself. How often have you shrugged off a compliment or replied that you didn’t deserve it? Owning your accomplishments rather than dismissing them is a powerful feeling. When praised, reply, “Thank you. I appreciate that.” Use it. It’s surprising how odd, and how powerful, saying those five words will feel. Writing in the New York Times, Tony Schwartz provides what I think is a valuable definition of humility. Leaders steeped in humility empower others to lead. Not only openly admitting mistakes but learning from them and sharing your experience with others is one of the most powerful ways to practice humility. Making one’s self this vulnerable isn’t always easy, but admitting mistakes and imperfections can often open the door for exciting conversations and big change (not to mention people will like you more—we tend to connect with those who share their imperfections). A key way to practice humility is to seek out and engage with those with different points of view. Channels ambition into the company, not the self; sets up successors for even greater success in the next generation. Looks out the window, not in the mirror, to apportion credit for the success of the company—to other people, external factors, and good luck. 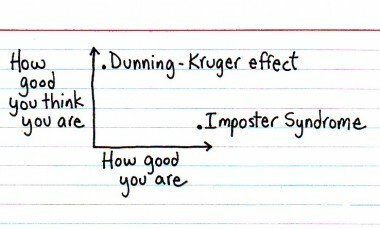 When your ego threatens to get in the way, try reframing. Remind yourself that you serve on behalf of the team, or the organization, or for the benefit of others, rather than for yourself. This method, counterintuitively, is one from The Confidence Code designed to increase confidence by moving the spotlight, but I think it works just as well for humility building. One final note: Is overconfidence always bad? We’ve talked a lot about how overconfidence can spill over into arrogance, but is that always the case? Research from The Confidence Code says no. Their overconfidence did not come across as narcissistic or arrogant because they weren’t faking it—and that made others gravitate toward them. Here’s how I read this: As long as you keep focused on humility and the beginner’s mind, it seems that there’s no amount of confidence that’s inherently bad—and it might even be beneficial. They’re overconfident in their ability to prevent bad outcomes. They’re overconfident about the prospects of their business. They’re more likely than other people to overestimate their life spans. Over to you!It was truly enlightening to explore the relationship between confidence and humility and discover that they can, in fact, live together in harmony—with wondrous results. It’s our job to keep working toward that perfect seesaw balance. Which are you more focused on working on: confidence or humility? How have the two worked together in your life? Have you encountered humble confidence in others, and how did it feel to you? Excited to hear all of your thoughts in the comments!